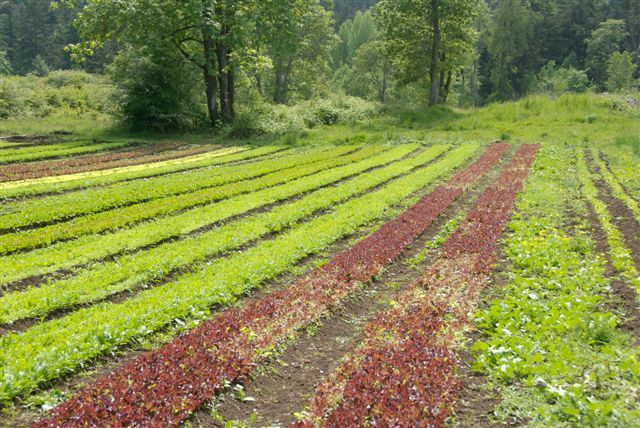 The average age of a farmer in BC is somewhere around 60. That means, if farmers were to follow the trajectory of public "service" workers, no one would be growing food in this province in 5 years. Well, a few people would, but not that many, and probably they wouldn't sell it to you anyway as they would be busy trying to supply food for their family and friends. But that doesn`t matter, does it? I mean we can always import our produce from California......oh no wait, global warming has resulted in an incredible drought in California lately, vastly reducing their capacity to procuce food (and predictions have it only getting worse), scrap that, California is out.........China! Doesn't China produce a lot of produce? Let's just get all of it there, a tomato is a tomato, right? They have the same health regulations as we do, don't they!? (cue news stories of Chinese-produced baby food being laced with melanine.... which KILLED BABIES). The fact is, our base for locally produced food is contstantly shrinking, and the people that want to become farmers face a never-ending uphill battle, with very little financial pay-off. Do not become a small farmer if you want a Ferrari....or a Porsche......or a Volvo......or a vehicle that was made in the last 20 years. The fact is, modern small farming is a labor of love perpetuated by a small group of individuals who want to a) produce healthy, sustainable food for their families, b) not want to be a part of the zombie apocalypse when there is a shipping crisis and we have decided that local produce is unimportant and thus we rely entirely on foreign production. Let's extrapolate that fact for a moment and put it into another scenario: scrap that, I can't think of a single thing more important than the sustenance we need to live. FOOD MATTERS to every. Single. Person (On this planet). Supporting local farms is not just a cutsie movement perpetuated by granola-eating-stereotype-embodying hippies, it is a very real necessity that will affect EVERY SINGLE ONE OF US if we lose the ability to produce food in our own province. Everybody eats, therefore agriculture matters to everybody. Each and every one of us can make a difference by choosing to buy local, asking for local options at your grocery store and seeking out farmer's markets where you buy directly from the farmer (THANK YOU to all you Moss St. Market supporters!). Before you make your next grocery list; think LOCAL! The outside spring salad mix at Kildara Farms!